I’mPOSSIBLE introduces learners to different Para sports. Para sport refers to all sports for athletes with an eligible impairment, whether they feature on the Paralympic programme or not. The International Federation must be recognised by the IPC and therefore operate under the IPC Athlete Classification Code. Any Para sport on the Paralympic programme is referred to as a Paralympic sport. 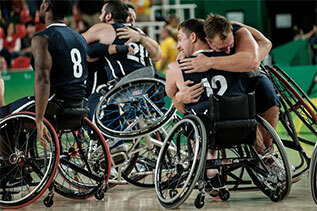 The term is only used when referring to the sport’s involvement in the Paralympic Games. Learning units currently available for Theme 2 - Para Sports are listed below. All units include a lesson plan and supporting materials. What are they and how are they played? Try the Para sport of Sitting volleyball! Try the Para sport of Goalball!